John Thomas was born a slave about the turn of the 19th century in Prince George's County in Maryland, and almost lived to see the turn of the 20th as a free resident of upstate New York. His grandmother, whom he remembered well and always called Aunt Rebecca, was brought across the Atlantic in a slaver's hold. His mother could speak a language he himself could not understand and called "that queer African lingo." As a boy on a Maryland plantation owned by a man named Thomas Hillary, he worked at watching and driving the geese and turkeys, and at gathering brush. He later remembered the excitement when the British burned the Capitol during the War of 1812, and rejoiced with the rest over the news of Jackson's victory at New Orleans. His name as a boy was not the one he later picked for himself. His parents were called Isaac and Elizabeth Walker, and while still a child he was sold together with his parents, two brothers and a sister to a man named Bowie who lived near Ball's Bluff on the Potomac in Virginia. Bowie was a friend of President James Monroe, and took John with him to his house in Washington where he was trained as a house servant. The boy, now a young man, was sold again about 1835, near the end of Jackson's second term, to a man named Swan who owned a plantation two miles south of Leesburg, VA. He remained there two years, but was regarded as a troublesome slave and was flogged more than once. He discovered that he was about to be sold again and sent south, so he determined to run away. He was mowing in a hayfield one day, together with his brothers Isaac and Robert Walker and another slave called Bill Irons, when he confided his plans to them. They decided to go with him, and that night they made their escape. They were a week on the road, hiding in the daytime and doing their traveling by night. For at least one three-day period they had nothing whatever to eat. Every morning John Walker would climb a tree to get bearings for the party, to make sure they were still heading in the right direction. They eventually reached Philadelphia and worked there for some time. John Walker, however, feared he might be retaken and with his brother Robert came farther north, into Dutchess County, NY. He never saw his brother Isaac again. John Walker took a new identity at the same time he moved to New York, changing his name to John Thomas, which he kept for the rest of his life. He stayed five years at Pine Plains in Dutchess County, working for Asa Thompson, a deacon at the Methodist Episcopal Church there. He eventually saved about $400. 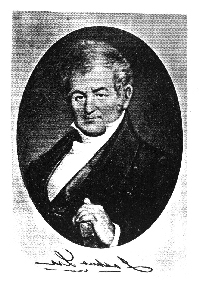 In 1841 one of Thompson's relatives, a man named William Southerland of Yates County, met John Thomas and induced him to moved to Penn Yan. They traveled here by way of the Hudson River and the Erie Canal to Seneca Lake, and then up the Crooked Lake Canal to the Yates County seat. He purchased a lot in 1842 on Jackson Street and proceeded in the same year to build a house and marry a local girl, the 18-year-old Catherine Gaton. They were married in the brand-new Congregational Church, founded when the village's Presbyterian congregation split over the era's most contentious moral issue, the abolition of slavery. It wasn't widely known at the time, but several of the village's homes were stations on the Underground Railroad, including that of John Thomas, who said later he sheltered more than 50 fugitive slaves there, and helped them on their way to Canada. John and Catherine Gaton Thomas were the parents of 10 children: Mary Elizabeth, John Miner, Harriet, Isabel, Isaac Edmund, Kate, Silas, Charles, Oliver and Gideon Roy Thomas. Mary Elizabeth and Harriet predeceased their father, who died January 12, 1899. A story about John Thomas appeared in one of the local papers not too long before his death, and included the picture reproduced here. The old man with his top hat, cane and old-fashioned clothing, had high cheekbones, deep-set eyes, a jutting chin and snow-white hair. He must have had a striking demeanor and bold personality, since of all Penn Yan's black residents, he was one of the best remembered.